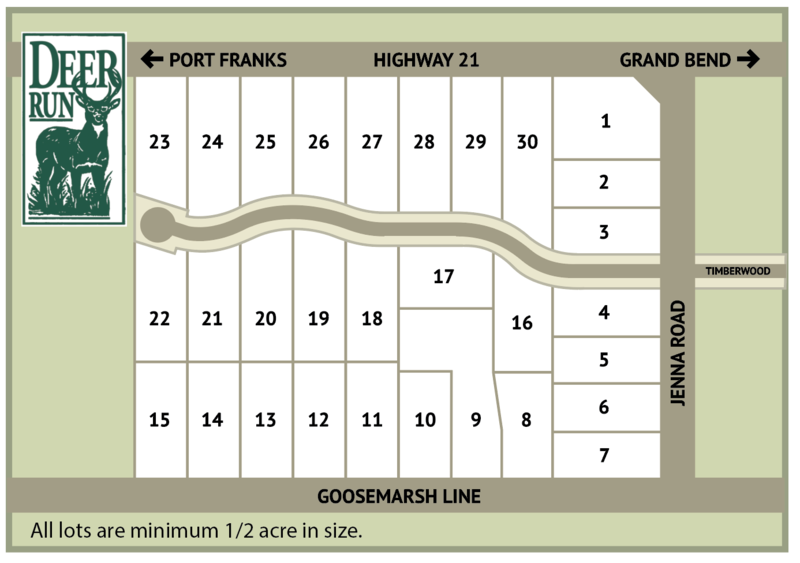 Deer Run Subdivision is located across from the Pinery Provincial Park, minutes from the alluring beaches of Grand Bend and Port Franks. In the midst of living within nature, there are plenty of activities nearby to maintain an active, healthy lifestyle. All lots are minimum 1/2 acre in size.